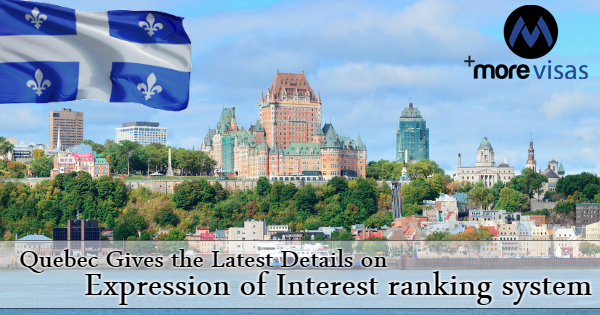 Quebec issued new information Wednesday that features how applicants in its current skilled worker Expression of Interest bank will be established and ranked. The ranking system needs into consideration of work experience in the U.S, creating Quebec’s the unique immigration system of Canada that presently recognizes U.S. work experience when placing applicants. Quebec Skilled Worker Program (Q.S.W.P) applicants who present their profile to the new Expression of Interest program Bank will be categorized in two groups — one group for applicants with a job offer or who are living in Quebec and meet particular criteria, and different for applicants residing outside of Quebec. •	have a work permit and a suitable degree from an educational institution in the Quebec: OR have a work permit that is proven for 12 months or more, 6 months of full-time experience of work and is presently working full-time. •	A common-law partner or spouse’s education and French language proficiency. The 2nd group is for applicants who do not reside in Quebec. Applicants in this 2nd group will also get points for the Skill Transfer ability alliances posted above. Quebec has not mentioned the structure of points for the several factors and skills alliances. Applicants who get an invitation to apply for a C.S.Q and present an appeal will require to meet the passing scores needed for the program depends on the Points Grid of Q.S.W.P.